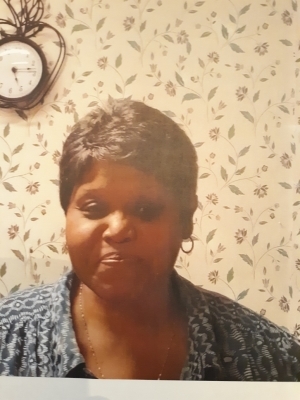 Magnolia - Ms. Brenda Farrior, 67 of 1228 Hwy 50 transitioned Thursday, March 21, 2019 at Kenansville Health & Rehabilitation. She was born on November 1, 1951 to the late Verta D. McKiver and late Robert Lee "Buck" Farrior and grew up in Kenansville, NC raised by her grandparents, Lillie Jane and Doctor Eddie Dobson. Bren, having been much beloved and highly regarded, leaves behind to treasure her fond memories, sisters, Barbara Ann Jordan of Warsaw and Patricia McKiver of Kenansville; Godsister, Drusilla "Dru" Clemons of Queens, NY; uncles, C. Thomas Brinson and Theodore Williams; nephew, Charles Cedric Tyler; niece, Phyllis Ann Tyler and a host of other relatives and friends.